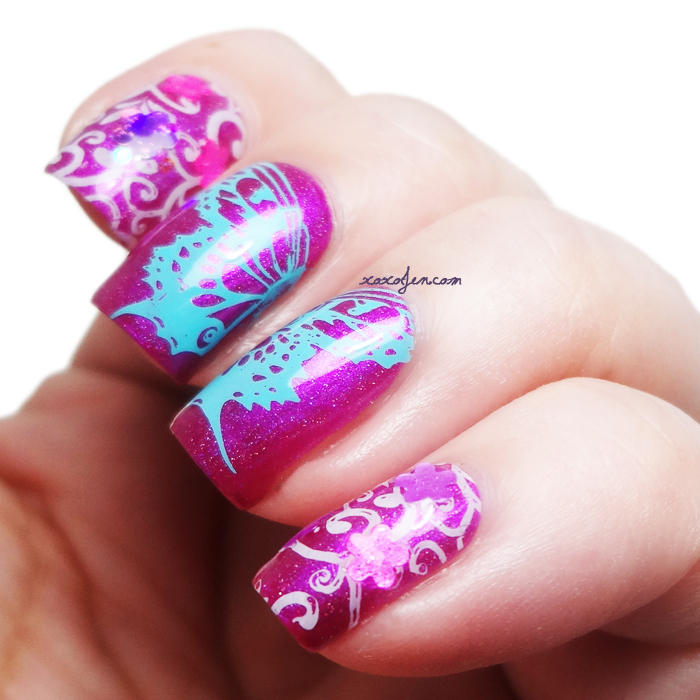 I'm doing this a little bit backward, posting nail art before the collection review; but I just had to share this right away! I'm quite pleased with how it turned out and let's just call this a sneak peek of me wearing Garden Hoe, shall we? 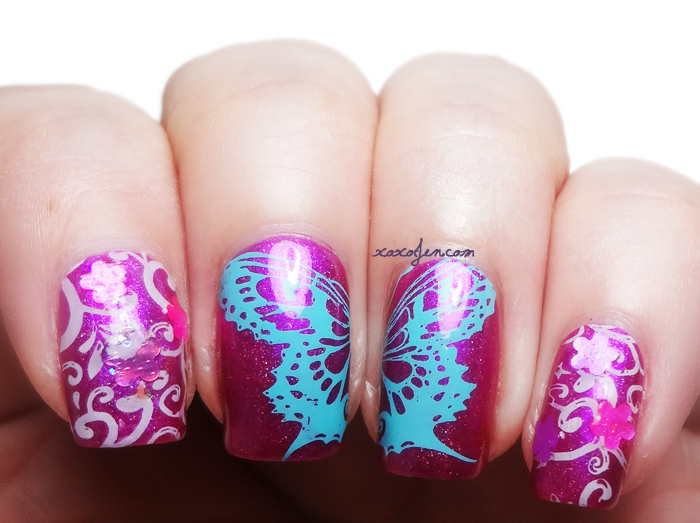 I used hehe stamping plate 4 and MDU stamping polish 24 for the butterfly, SH Extreme Wear White On for the vines, stamped with a brand new stamper from Chelle Lee which is available to order online, and then I placed a few glitters from the May Flowers glitter topper to finish the look. What do you think? I think I'm in love!